This evening, NASCAR’s new “make a qualifying attempt in all rounds to which you advance or start in the back” stance will take effect for Monster Energy NASCAR Cup Series qualifying at Texas Motor Speedway. Okay, it takes effect for all three national series this weekend, but the Cup Series seems to be lone series with the qualifying issue, here. 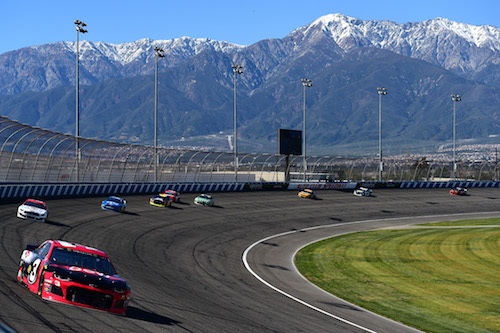 I’m looking forward to seeing how it goes, especially after the debacle of two weeks ago at Auto Club Speedway when none of the 12 cars in the final round managed to post a timed lap in that round. Don’t get me wrong, I don’t blame the race teams. Okay, maybe that’s not the correct way to put it, the teams/drivers were the ones choosing to play the waiting game, not wanting to be the first out to be taken advantage of others going out right behind and drafting to better starting spots. What I mean to say is that I get why they played said waiting game. After all, it’s not drivers’ and teams’ responsibilities to put on a good show. Priority numero uno for them is being the best, and going out first doesn’t garner the best starting position at tracks where drafting comes into play during qualifying. After all, once drivers/teams reached the final round, was there really all that much of a penalty for not getting on track in time? Nah. After all, the worst any of the guilty parties at Auto Club started was 12th. One of them, Austin Dillon, even still started on the pole, based on his speed from the previous round. Under these new rules, all 12 of the guys who let the clock run out in the round would’ve started in the back, not pole through 12th. I’m not pointing the finger at NASCAR, either. What we saw a couple of weeks ago at ACS was a byproduct of an aero package that, I must say, seems to be an improvement, at least so far. I’m guessing teams will still play the waiting game Friday evening, at least for awhile. Heck, one, or two, or three may not get a lap in time. But at least this time around, they’ll suffer the consequences. At least maybe that’ll be the motivation to not let it happen again. Maybe everyone will post laps in every round in which they’re supposed to as early as Friday at Texas. After all, we haven’t seen any major infractions in post-race inspections since NASCAR put its foot down and declared it would take away wins. Teams got that message pretty quickly, so maybe they will this one, too. Speaking of post-race inspections, I figured we would’ve seen a win or two stripped by now, until teams realized NASCAR meant business. I have to say, only seeing “light” infractions like lug nut violations on the weekly penalty reports is a refreshing change. Let’s hope this stricter qualifying rule has the same result.